Even if you don't know an ohm from a volt, Craig Anderton's revised and expanded book shows you how to build 27 accessories that enhance your sound and broaden your musical horizons. If you're an old hand at musical electronics, you'll really appreciate that all of the processors, from tube sound fuzz to phase shifter are compatible and work together without creating noise, signal loss, bandwidth compression or any of the other problems common to interconnecting effects from different manufacturers. There's even a complete chapter on how to modify and combine effects to produce your own custom pedal board. 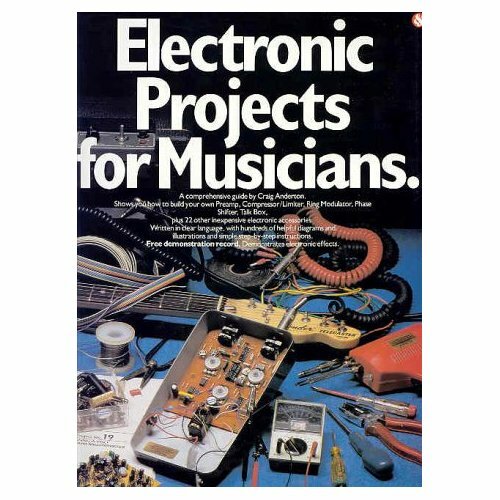 Low cost project kits available from PAiA help make even your first exposure to electronics a pleasant, hassle-free experience and thanks to the CD bound into the book, you know just how the device will sound before you even start. Check out the EPFM page for more information! Note: Some projects may be out of stock. We hope to have them available soon.